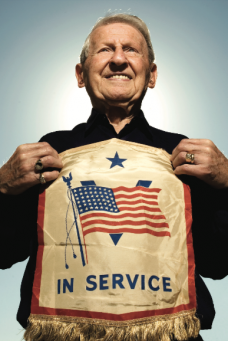 The slogan “Don’t Mess With Texas” has been appropriated by everyone from presidents to romance authors, and is known around the world as an anti-litter battle cry that achieved remarkable results—litter was reduced by 72 percent in 10 years thanks to the famous advertising campaign. Even though 95 percent of Texans recognize Don’t Mess With Texas, the slogan was a serious underdog in the contest, with competition including Got Milk?, Just Do It, What Happens Here Stays Here, and 21 other slogans used in nationwide campaigns. 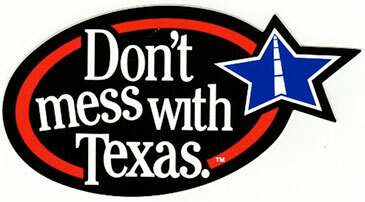 Don’t Mess With Texas was the only slogan used in a single state. Brenda Thompson Communications and GSD&M kicked off a campaign to garner votes in the Advertising Week Walk of Fame Competition with a news conference featuring Governor Rick Perry and former Governor Mark White urging Texans to vote for DMWT. Other tactics to garner votes included social media, statewide media coverage, and partnering with economic development organizations including chambers of commerce in Texas’ major cities. The result: Don’t Mess With Texas won the campaign in a landslide, and less than a month later we traveled to New York City with DMWT author Tim McClure, co-founder of GSD&M, and representatives of the Texas Department of Transportation for whom the slogan and campaign were developed, to see a parade of famous advertising icons followed by the installation of a permanent plaque recognizing DMWT on the Madison Avenue Advertising Walk of Fame. The timing was serendipitous, as Brenda Thompson Communications had also been engaged by GSD&M to plan and execute the launch of Don’t Mess With Texas: The Story Behind the Legend, a book by McClure and Roy Spence, another co-founder of GSD&M. The book launch began with a signing at the agency, where artists from the campaign including Joe Ely and Johnny Dee and the Rocket 88s performed, and continued with national and statewide media attention, signings, and author appearances. Media coverage included an Associated Press story picked up around the world; syndicated newspaper columns; unique features in eight different statewide daily newspapers; in magazines including Texas Monthly, Alcalde, Kirkus Discoveries, and Texas Highways; and on Texas radio and television stations. In addition to media interviews, we planned a number of book signings for McClure in New York and in Texas, and booked speaking engagements at UT and at the Texas Library Association’s statewide conference, among others.